Finishing Well: How is Your House Built? 2 Timothy 4:6-8 For I am already being poured out as a drink offering, and the time of my departure has come. I have fought the good fight, I have finished the course, I have kept the faith; in the future there is laid up for me the crown of righteousness, which the Lord, the righteous Judge, will award me on that day; and not only to me on that day; but also to all who have loved His appearing. During a time of rest, I received a very vivid dream that was more apostolic in content and nature. In this revelatory encounter, the atmosphere was permeated with the presence of the “jealousy of God.” I was taken to a construction site where a foundation of a house was being prepared. Two angels came and stood at the front of each corner of the property, overseeing the approaching construction. The ground was rocky and the earth was crying out for a deep, strong, firm foundation to be laid, as there had been many shakings and earthquakes in the region over the years. I was now keenly aware that this was no ordinary house that was about to be built. It was an Apostolic House for the Glory of God in the end times. Another cement truck came and unloaded its quick-drying substance. Once again words appeared, “God’s Heart for the Poor and the Desperate.” As soon as these words rose to the top, another phrase popped forth into view, “God’s Healing Presence.” The foundation now appeared to be complete as a demonstration of the “power of God” was established for the foundation of the House. Suddenly, so it seemed, I was awakened from out of this detailed dream as a voice from the Lord spoke to me. I was awakened with a word from the angels that were overseeing the construction of the house. With the presence of the “jealousy of God,” I clearly heard, “This is the House that is Built to Last.” I laid there marveling on the wisdom that permeated this God encounter. D. How Is Your House Built? Is Jesus the cornerstone of your life? Is your house established upon the revelation, lifestyle, and truths of the apostles and prophets – the fathers and mothers of the faith throughout the Church ages? 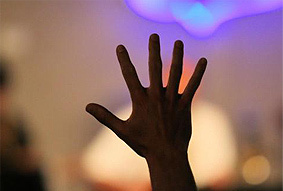 Are you maintaining a life of integrity and humility with a heart filled with pure worship? Are you asking the Lord to restore the ancient foundation of God’s heart for the poor and the desperate? Are you seeking the Lord for a greater release of His healing presence to demonstrate His love and mercy? Since having this dream, I am asking myself and the Lord these questions. So now I ask you the same questions the “jealousy of God” has been asking me. How is your house built? When the winds, rains, and storms come that Jesus spoke about, is your house built to last? Let us acquire wisdom from the Lord and build our house so that it will stand firm as a testimony of His greatness! The storms of life will come. Will your house stand? Let the House that is Built to Last come forth for the glory of God! What Did the Early Apostles Teach Us? D. LOVE NEVER FAILS! Did You Learn to Love? Bob Jones, a seer prophet living in Kansas City, Missouri, area at the time, was told through visions of the Lord concerning various forms of abortion that would take place in America and the nations. He saw that the nations would be judged according to what they did to the children in the womb. He saw that beginning in the year 2000 there would be five million worldwide abortions happening yearly and that the number would double every year. In an interview, Bob Jones said that the Lord would begin to come and judge sin. At the same time, a demon came to Bob and said, “If you ever share this again publicly, I will touch you and you will die.” Bob did share these visions of judgments and the demon touched him and Bob died and went before the Lord on August 8, 1975. While in Heaven, Bob saw white light, which was the love and glory of God. He saw that he was clean and his robe was white. He thought, “Bob, you finally got it made and you are clean.” He saw people who served their gods on their death beds – men wrapped in drugs, dollar bills, lust, alcohol. Then Bob drew close to the man dressed in white while the others slid down into a large dark place never to return. Then Bob watched as different ones came before Jesus. He would ask the question to each one, “Did you learn to love?” Bob came before the Lord and He asked him the same question. The Lord looked him over and saw that Bob loved souls. He asked him if he would go back for one billion souls – especially to anoint leaders who would lead the one billion souls in end time ministry. Bob said, yes, that he would go, and the Lord sent him back to his body to tell the stories of standing before the Lord and His eyes of love. Father, in Jesus’ name, teach us how to live a successful, supernatural Christian life. Teach us, Holy Spirit, how to be content in all things. Teach us, Lord and Master, how to live lives of righteousness. Teach us God, how to do what Jesus did. Teach us how to finish well. Teach us how to love for Your Kingdom’s sake! Amen and amen!